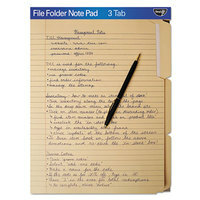 For additional organization, these products feature a tab that you can use to label each file for easy identification. Some of our file folders even have a tab that is undercut, providing a larger area for labeling and indexing. Additionally, we offer goods that are made from durable stock that is scored and resistant to tearing, even when handling lots of papers. Also make sure to check out other great items from C-Line Products, find It, Pendaflex, Smead and Universal. 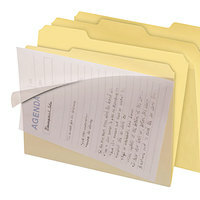 Using file folders makes it simple to organize tasks and projects in your busy offices, schools, and medical facilities. With a wide selection of colors to choose from, you can assign a task to each color to color code your projects and prevent misfiling. 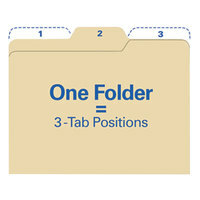 For additional differentiation when filing, we offer products with tabs that allow you to label your files. 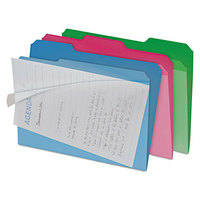 If you’re looking to buy folders in bulk, we also carry file folders in boxes, making it simple to stock up. 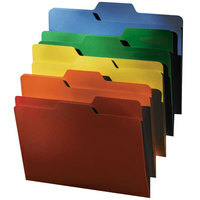 For other filing products, check out our binders, hanging folders, and file storage. If you're wondering where to buy find it file folders, we have a large selection of find it file folders for sale at the lowest prices.